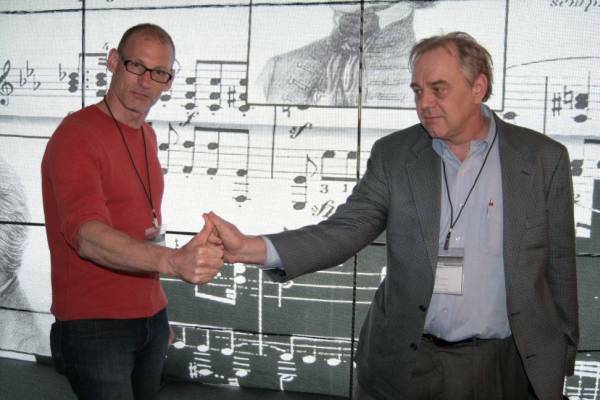 Before I copy and paste the text modules from my previous show report, and you eventually fall asleep, I can tell you that this year something really exciting happened at the High End Audio Show in Munich. 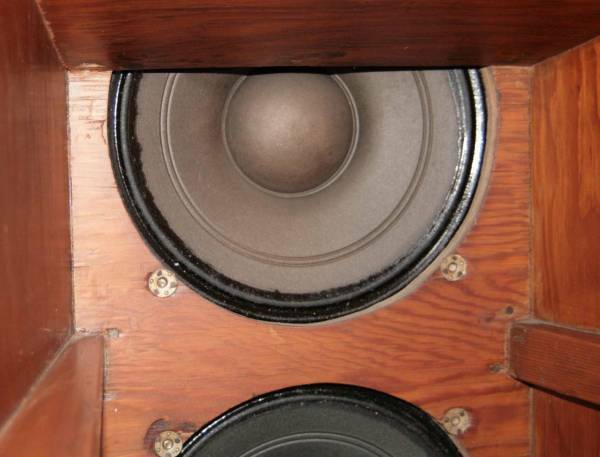 A South Korean company showed the impossible, a musically very satisfying historical loudspeaker, more than 60 years old, capable of telling the usual High End companies some tricks. Why impossible? Because it is impossible to buy. 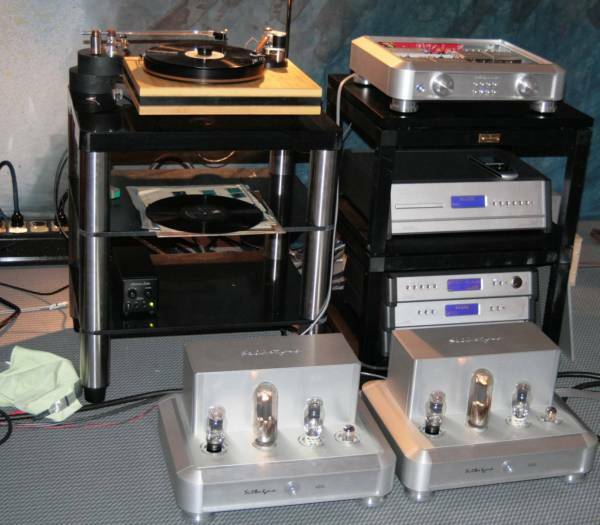 Any filthy rich Audiophile with his pockets full of money who listened to the demonstrations for hours left the show room frustrated, because all the money could not buy him this quality. Silbatone initially intended to present their Aporia loudspeaker, a horn loaded single driver speaker using the German Manger bending wave driver. They reserved and paid a show room suitable for their Aporia loudspeaker, but eventually got noticed that this room is not available any more, thus they had to book a room more than twice that big, and also a lot more expensive. The folks at Silbatone then feared that around 20 watts of tube amplification into a 90something dB sensitivity loudspeaker could not fill the room enough to compete with the loudness of the neighbour show rooms. 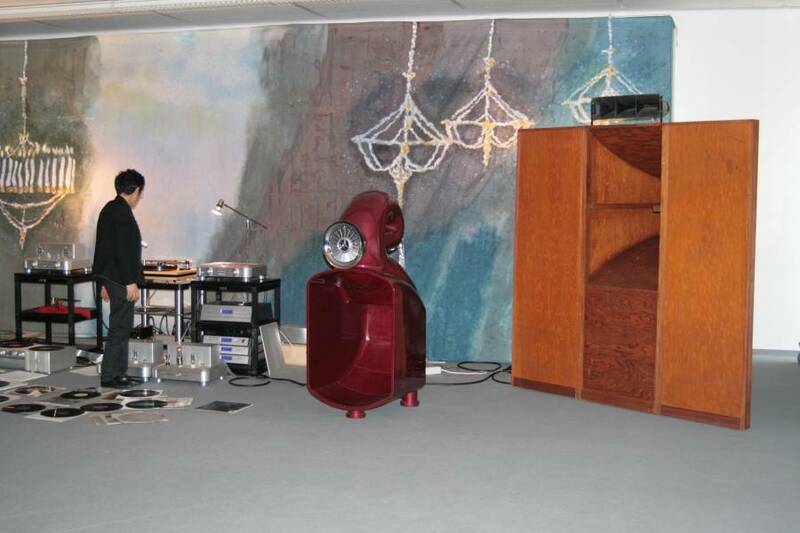 The solution was to bring a vintage 100plus dB sensitivity loudspeaker from their vintage collection. I take my hat off to these folks. It must have been an enormous logistical effort to organize the transport of such old and bulky loudspeakers half around the world and back. This vintage speaker system is an all original Western Electric L-9 from 1948, actually a stereo two way cinema system for small cinemas. The Alnico bass drivers are WE-745B (12 inch), a pair of them on each side working into a front loaded horn. The mid-to-high drivers are Alnico magnet phenolic diaphragm WE-713B into KS-12025 aluminium horn. Crossover is 800 cycles. But this does not mean, that Silbatone is hooked to the past. They are working on the quality of past times, and try to transport this quality into the future. Coincidently, the other components of their setup looked rather state-of-the-art. Silbatone produces their own amplification, all with cost-no-object parts. Silver coil transformers, insanely expensive switches, customized silver resistors. OK, this looks like a list of buzzwords to impress potential customers, but the success shows, that it is the result that counts. 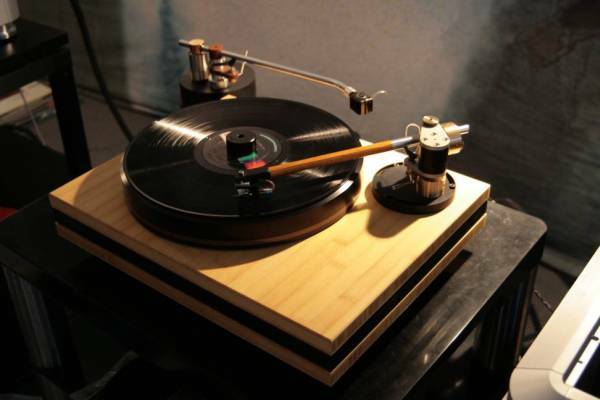 They used a Frank Schroeder designed ArtemisLabs turntable with a two custom Schroeder tonearms made for ArtemisLabs. The cartridge used in the Schroeder Reference tonearm was a new vanDenHul Kolibri cartridge with medium compliance. The other tonearm has been made by Frank Schroeder using a Thomas Schick tonearm wand. JC Morrison (left) and Joe Roberts (right) of Silbatone, you did a phantastic job! BTW, If you ever heard of the US underground magazine "Sound Practices" from the 90ies, these two guys should be familiar to you. And in the end, how did it sound? Well, a bit warm (Mrs. Callas was a bit bigger than usual), but there was nothing else to criticise. The overall sound was like from a gigantic jukebox meant to play all our favourite music, effortlessly, organic, dynamic, uncompressed, un-boxy, seamless, lifelike. This is the sound, to which all the other loudspeakers on this year's Munich High End show should be compared.